There are 73 days to go until Patterns Day. Do you have your ticket yet? Emil Björklund, the technical director at the Malmö outpost of Swedish agency inUse, is a super-smart person I’ve known for many years. Last year, I saw him on stage in his home town at the Confront conference sharing some of his ideas on design systems. He blew my mind! I told him there and then that he had to come to Brighton and expand on those thoughts some more. This is going to be an unmissable big-picture talk in the style of Paul’s superb talk last year. Speaking of superb talks from last year, Alla Kholmatova is back! Her closing talk from the first Patterns Day was so fantastic that it I just had to have her come back. Oh, and since then, her brilliant book on Design Systems came out. She’s going to have a lot to share! The one thing that I felt was missing from the first Patterns Day was a focus on inclusive design. I’m remedying that this time. 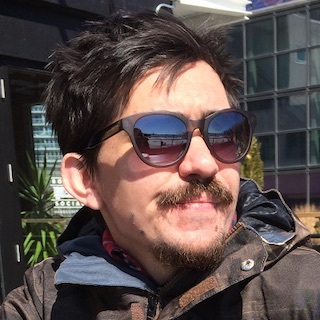 Heydon Pickering, creator of the Inclusive Components website—and the accompanying book—is speaking at Patterns Day. I’m very excited about this. 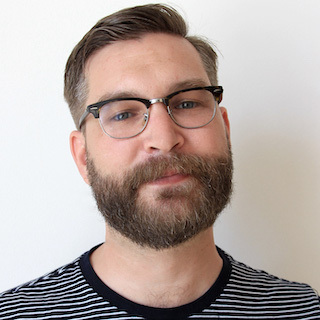 Given that Heydon has a habit of casually dropping knowledge bombs like the lobotomised owl selector and the flexbox holy albatross, I can’t wait to see what he unleashes on stage in Brighton on June 28th. Tickets for Patterns Day are still available, but you probably don’t want to leave it ‘till the last minute to get yours. Just sayin’. That isn’t even the full roster of speakers, and it’s already an unmissable event! I very much hope you’ll join me in the beautiful Duke of York’s cinema on June 28th for a great day of design system nerdery. I woke up in Geneva. The celebrations to mark the 30th anniversary of the World Wide Web were set to begin early in the morning. It must be said, March 12th 1989 is kind of an arbitrary date. Maybe the date that the first web page went online should mark the birth of the web (though the exact date might be hard to pin down). Or maybe it should be August 6th, 1991—the date that Tim Berners-Lee announced the web to the world (well, to the alt.hypertext mailing list at least). Or you could argue that it should be April 30th, 1993, the date when the technology of the web was officially put into the public domain. 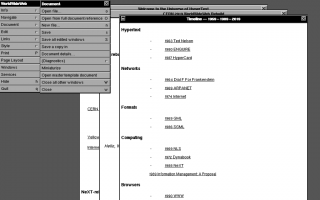 In the end, March 12, 1989 is as good a date as any to mark the birth of the web. 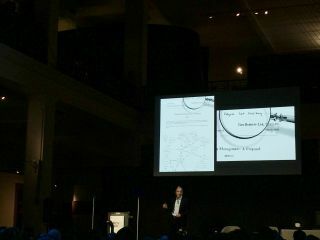 The date that Tim Berners-Lee shared his proposal. That’s when the work began. 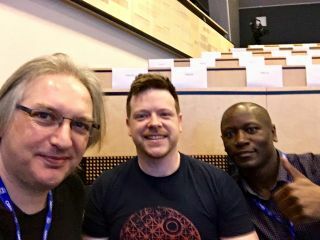 Exactly thirty years later, myself, Martin, and Remy are registered and ready to attend the anniversay event in the very same room where the existence of the Higgs boson was announced. There’s coffee, and there are croissants, but despite the presence of Lou Montulli, there are no cookies. The doors to the auditorium open and we find some seats together. The morning’s celebrations includes great panel discussions, and an interview with Tim Berners-Lee himself. In the middle of it all, they show a short film about our hack week recreating the very first web browser. It was surreal. There we were, at CERN, in the same room as the people who made the web happen, and everyone’s watching a video of us talking about our fun project. It was very weird and very cool. Afterwards, there was cake. And a NeXT machine—the same one we had in the room during our hack week. I feel a real attachment to that computer. We chatted with lots of lovely people. I had the great pleasure of meeting Peggie Rimmer. 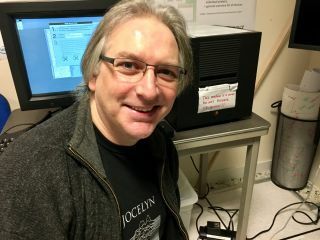 It was her late husband, Mike Sendall, who gave Tim Berners-Lee the time (and budget) to pursue his networked hypertext project. Peggie found Mike’s copy of Tim’s proposal in a cupboard years later. This was the copy that Mike had annotated with his now-famous verdict, “vague but exciting”. Angela has those words tattooed on her arm—Peggie got a kick out of that. Eventually, Remy and I had to say our goodbyes. We had to get to the airport to catch our flight back to London. Taxi, airport, plane, tube; we arrived at the Science Museum in time for the evening celebrations. We couldn’t have been far behind Tim Berners-Lee. He was making a 30 hour journey from Geneva to London to Lagos. We figured seeing him at two out of those three locations was plenty. By the end of the day we were knackered but happy. The day wasn’t all sunshine and roses. There was a lot of discussion about the negative sides of the web, and what could be improved. A lot of that was from Sir Tim itself. But mostly it was a time to think about just how transformative the web has been in our lives. 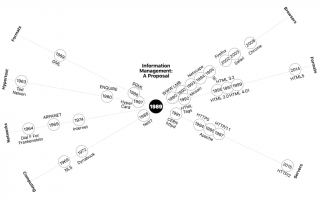 And a time to think about the next thirty years …and the web we want. 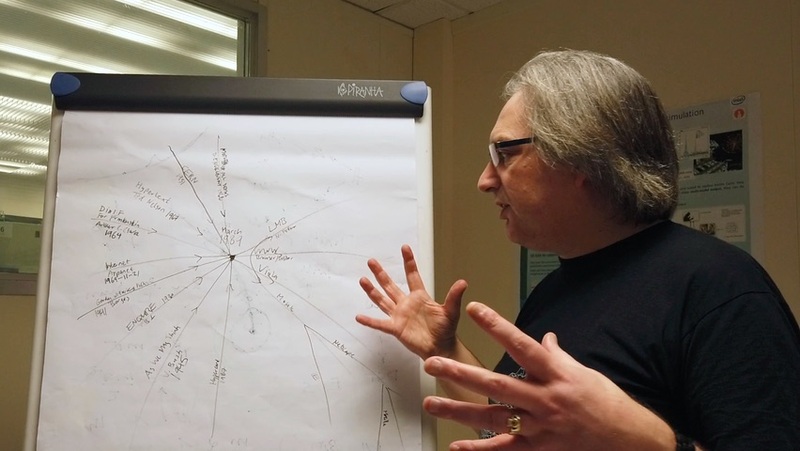 I’m back at CERN because tomorrow, March 12th, 2019, is exactly thirty years on from when Tim Berners-Lee submitted his original “vague but exciting” Information Management: A Proposal . 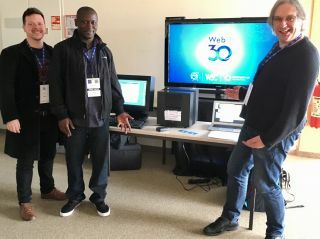 Tomorrow morning, bright and early, there’s an event at CERN called Web@30. Thanks to my neglibable contribution to the recreation of the WorldWideWeb browser, I’ve wrangled an invitation to attend. Remy and Martin are here too, and I know that the rest of the team are with us in spirit. I’m so excited about this! I’m such a nerd for web history, it’s going to be like Christmas for me. If you’re up early enough, you can watch the event on a livestream. The whole thing will be over by mid-morning. Then, Remy and I will take an afternoon flight back to England …just in time for the evening event at London’s Science Museum. Surprise! Patterns Day is back! The first Patterns Day was in the Summer of 2017, and it was a glorious—a single day devoted to all things design system-y: pattern libraries, style guides, maintainability, reusability. It was a lot of fun, so let’s do it again! Patterns Day 2 will take place on Friday, June 28th, in the beautiful Duke of York’s cinema in Brighton. If you went to the first Patterns Day, then you’ll know how luxuriously comfy it is in there. Tickets are £175+VAT. The format will likely be the same as before: an action-packed day of eight talks, each 30 minutes long. All the way from the US of A, it’s Una Kravets, who needs no introduction. From the Government Digital Service, we’ve got Amy Hupe—she’ll have plenty to share about the GOV.UK design system. 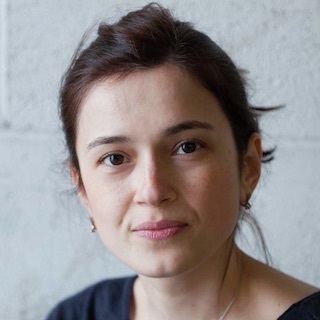 And we’ve got Yaili, now a senior designer at Microsoft, where she works on the Azure DevOps design system. Patterns Day will have something for everyone. We’ll be covering design, development, content strategy, product management, and accessibility. So you might want to make this a one-day outing for your whole team. Tickets for last year’s Patterns Day went fairly fast—the Duke of York’s doesn’t have a huge capacity—so don’t dilly-dally too long before grabbing your ticket! This is a recording of my Evaluating Technology talk from An Event Apart in Denver just over a year ago. This was the last time I ever gave this talk, and I think you can tell that the delivery is well-practiced; I’m very happy with how this turned out. In this 60-minute presentation recorded live at An Event Apart Denver 2017, Jeremy Keith helps you learn to evaluate tools and technologies in a way that best benefits the people who use the websites you design and develop.